Irish brothers to bring their fresh Americana sound for seven shows in November. Already gearing up for a busy summer of festivals across the UK, Ireland and continental Europe, Irish brothers Harry and Alfie Hudson Taylor are looking further ahead to an exciting run of UK dates later this year. Back in January, Hudson Taylor’s UK and European tour was a sell out, and the brothers went on to complete their first US tour in the spring. While in America they also made their US TV debuts on WGN in Chicago and Good Day New York on Fox, as well as key sessions for Paste, Baeble Music in NYC and Balcony TV in LA. 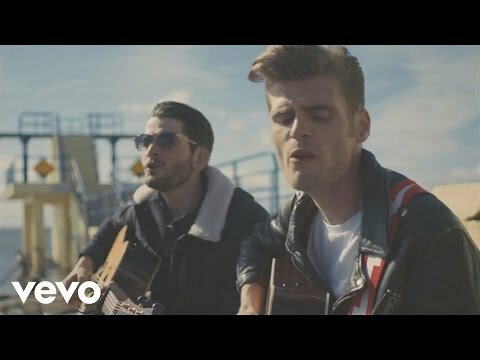 Hudson Taylor’s debut EP for Rubyworks charted Top 5 in the Irish album charts, and their profile on streaming keeps going from strength to strength, with both ‘Run With Me’ and ‘Old Soul’ enjoying in excess of one million plays each on Spotify, with support peaking at one million monthly listeners. ‘Run With Me’ was their second Irish airplay Top 10 success following on from ‘Feel It Again’.